The light opera by Gilbert and Sullivan, “the Mikado”, has been making the news since the Seattle Times editorial columnist Sharon Chan had taken the show to task for its comedic portrait of Japanese people. Since then, Dave Ross, the radio show host of KIRO Radio, who also starts in Mikado has interviewed Chan to figure out what the offensive elements are. l think both sides have much to commend them and both sides could also do better in certain areas. For the sake of fairness, I will try to pick on both sides to get to the bottom of what offends. To Ross’ credit, he has done so much more than evangelical leaders who repeatedly offend Asian-Americans (henceforth AA) in their own public (either through speech or writing) engagements. Ross at least tries to engage the offended to see what the problem is. Thus, I would give Ross credit for not being racist. To Chan’s credit, she is right to speak out from what she perceived to be the sentiments of many AA’s. As she pointed out somewhere in the interview, AA’s have protested in the past, even as far back as the 90s. This was not the first time. Here’re some of the issues I’ve gathered in listening to his response and his interview and in reading some of the defenders of the opera. 1) Ross focuses on the color of the label “yellow face” when Chan clearly tells him that it is not the color of the face but the act of white people portraying Asians (e.g. Halloween Geisha girl etc.). Ross continues his discussion by talking about a black face flash mob in which he participated, dressing up as Michael Jackson. Ross’ framing of the argument centers ONLY on his own obsession about skin color. Yet, I think both Ross and Chan miss the point. The problem though is this. The Michael Jackson flash mob does not offend people because the intent was to honor and not to mock Jackson (or African-American in general). Besides obsessing with skin color, Ross moves on to using examples such as wearing martial arts clothing by westerners in Asian martial arts. I’m unsure whether Ross has any experience with practicing martial arts in a multicultural dojo. I’ve had plenty of experience. The point is, whenever we participate in, let’s say, a Japanese art, we’re learning all we can about the culture in a respectful and non-joking way. WE DON’T MAKE A KARATE LIGHT OPERA TO MAKE FUN OF WESTERN SOCIETY! Ross’ examples just do not parallel the present production of the Mikado. Chan however freely gets led by her nose in this discussion as she puzzles over whether a white man playing a black role is OK or whether wearing karate gi is OK. She’s clearly missing the point. I share Chan’s concern but not her logic because the point is genre and context! Other arguments I’ve seen in favor of keeping the Mikado as it is comes from drawing simplistic parallels with Turandot and Huckleberry Finn or the Catcher on the Rye. The fact is, none of these is a comedy specifically to either make fun of a race or using the mockery of a race against one’s own society, even if racial stereotype exists in all of them. Both Ross and Chan have not realize is that the problem is not the dress, skin color or white people playing Asians. The problem is the entire means by which the opera communicates mockery. Asians are the comedic means by which Gilbert and Sullivan use to mock their British society. We like to use this saying in our AA circles to those who use us as a joke. We aren’t your punchline. That principle still holds true. It has nothing to do with having thin skin. No people group likes to see the culture which they treasure being used as a means for mocking some other culture. In other words, Ross seems to miss the point that the Mikado mocks the Japanese in order to mock the British society. The means is as important as the end here. For the 21st century audience, the play “as is” is a failure in rhetoric as the means has overrun the message. Perhaps, the Mikado has both artistic and social value, but its offense can overtake its value. In the light of the present situation, I wonder if modern producers can find other ways to produce the Mikado to accomplish the same end as Gilbert and Sullivan intended. Indeed, some are doing just that with the youth version in Seattle. Maybe a needlessly offensive means is not the best or only way to stay true to the intent of its original authors. Maybe there’re some other ways to stay close to the content and intent in a creative way for the 21st century political climate. 2) Ross also brings into the discussion of subjective perception in response to Chan’s sentence about just because the Mikado has been done in a racist way for 100 years, it doesn’t make it not racist. Ross retorted by saying that just because Chan sees it as racist, it doesn’t mean that racism is there, and that Chan doesn’t speak for ALL Asians. This is the classical argument about intent without considering impact perfectly illustrated by the statistical joke of “how many Asians does it have to offend before it’s racist?” or “I’m not racist because some of my friends are Asian.” The problem has never been statistics. Anyone talking in statistical terms doesn’t understand the dynamic of this offense. Ross’ argument is about reducing the AA experience into statistics (more or less Asians offended and more or less Asian friends) in order to allow something to keep going. Ross fails to realize that the problem is not the NUMBER of the offended but the NATURE of the offense. No matter how many are offended or not offended, we ought to look at the content at its very essence and see if the essential offense violates the very principles that bind us as Americans. In order to understand the HOW, he has to, first of all, abandon “HOW MUCH” to get down to the narrative level of the AA’s. At the narrative level, he will be able to see if the offense is legitimate or otherwise. People aren’t numbers. People are storytellers. Some of our narratives intersect with some of the offensive elements not just in the Mikado but in other cultural heritage. What kind of narratives do AA’s have? I can’t speak for all AA’s. I can only share my narrative. My narrative is typical of many 1.5 generation AA’s (those born overseas, immigrated and become bicultural/bilingual). I came here at 10 years old with hardly any English. Being the only Asian in my school didn’t help. Kids would make fun of me and my gym teacher would call me Hop Sing (surely, he wasn’t racist. He was just having fun, and he was very nice to me.) after the servile character in the western TV show Bonanza. That’s almost as bad Pastor Mark Driscoll calling Pastor Francis Chan the “international man of Fu Manchu mystery” in his interview. In no time flat, I was able to speak fluent English because, as you know, English is cakewalk compared to Chinese. Once I started speaking like a native speaker, I experienced a different set of problems. Kids would ask me, “How do you speak such good English?” (My sons also experience this as native speakers born in the English-speaking world) I’m fairly sure they wouldn’t ask me that if I were European descent. When I couldn’t speak English, they made fun of me because I sounded funny. When I began speaking English too well, they asked me how I did it because I looked funny. My own narrative of sounding and looking funny contains just about all that is offensive in Ross’ framing of the Mikado. I was the punchline. The means has overtaken the message until all I receive is the means. How does all the above discussion relate to the Bible? I write all this to point to the important biblical truth of using the right means for the right message. The Bible does talk about using the right means. Ross’ controversy with the Mikado acts as a parable to how one kind of text impacts its listeners in real time. This instance in the Mikado reminds us that we live in a time where certain traditional assumptions are no longer held to true. The cultural paradigm is shifting. I think it is important for Christians to understand the cultural paradigm shift especially in regard to how we deal with the issue of race and diversity. The church has been notoriously divisive when it comes to race. Such conversation about the Mikado informs us that when we speak in public, we have to reexamine the paradigm by which we view “the other” or society in general. Quite often, whatever we consider unoffensive and “biblical” is neither. At the end, Ross has proven himself not to be racist, but at the same time, has viewed the situation through racist cultural lenses. His miscalculated contextualization of the opera does not bode well for him. If Christians fail to see things through the lenses of others, they will surely meet the same rejection. The means can often speak louder than the medium. I hope no one who speaks about the gospel will ever forget the Mikado. This article grows out of a lecture I gave one Saturday afternoon for Hong Kong churches on how to listen to sermons. Quite often, people are very critical of their pastors’ preaching, but I like to take a different perspective to talk about the responsibility of both sides in the process of listening. My starting point is the Bible. The act of listening can be divided into two emphases. The first has to do with the literal physical act of listening. The second has to do with both spiritual and intellectual comprehension (since the two should not be so different). Although I’m never felt comfortable with dichotomous division of the human being, the essay below is borrowing the concept mainly for emphasis and to make a point. Listening is a physical act. Within Nehemiah, the words “read” and “listen” repeat many times, denoting a communication process between the reader and the receiver. As a physical act, listening is also related to other physical aspects in life. In Ex. 19.14-15, 20-22, the physical preparation of the people precedes the listening to the Ten Commandments in Ex. 20. There was a whole series of rituals that takes place before the spoken word was given. Within Exodus 19, three concepts surface in preparation for listening to the word. Ex. 19.14-15 talks about consecration of the people. Ex. 19.20-24 sets physical limitation for where everything should take place. Ex. 19.22 also talks of consecrating the priests. In other words, both the people and the leaders need to make physical preparation before listening. When looking at the physical aspect of listening, here are some important concepts we must pay attention to. Let me first talk about the responsibility of the listener before discussion the responsibility of the preacher. First, a lot of the descriptions of listening are corporate. This is an important concept because so often, listening is reduced to the act of a singular individual. The corporate listening implies that people need to work under the same authority of God. They’re not just going to be lone rangers in application but to work together in community with other obedient believers. In the Christian church, the corporate preparation includes participation in singing. Yet, there are many who only rush to the service on time in order to listen to a sermon. Many such listeners are consumers who want nothing more than to “get something out of the service.” However, a person who is aware of the corporate dimension of worship will not miss every part of the service because the sermon is only a part of the service and not the entire service. Singing and putting oneself in a worshipful state helps with listening. Second, preparation is intentional and not accidental. In Exodus, these Israelites did not happen to be in good condition to listen to the word being read. They had to go through a lot of steps in order to prepare. Intentional preparation is important because many modern listeners lack preparation when it comes to listening to sermons. As a family man, I have come to value preparation of children for services. Our modern services have so focused on age appropriateness that we no longer welcome children to our services, despite the fact that our Savior also had children among his listeners. The excuse that children are too active and cannot sit politely shows more about our perspective of children than what God wants. A step I find helpful is to make sure that tiny kids are fed well before going to church. Hungry children do not sit well. Parents can also do well to prepare the children the night before, especially children who are older. Preparation can be done through prayer with the children the night before. Parents can further encourage children to pray out loud for their pastors for the next day. Some teens are prone to stay up playing on the internet. It is hard for parents to control such habits, unless the household is marked with discipline from top to bottom. If parents would sleep a little earlier as an example to their children, the entire family would be in better physical condition to listen to the sermon. Another important preparatory step is the setting of limitation for listeners. For children, if they bring their electronic devices, they should at least have them off during services. Many parents are not courageous enough to put their foot down on this bad habit. The fact is, electronic devices distract rather than help with listening. Some churches go as far as giving drawing sheets for children in the pew to color or to encourage listeners to tweet about what they just heard without equally encouraging them to be slow to listen and slow to tweet in order not to interpret the sermon out of context. The message such churches send is that children can have an option of either participate or do something else, and that adults can respond to bits and pieces of the sermon they pick out and respond to them even though the response is totally outside of the realm of proper interpretation. Such a message will become a hindrance rather than help in preparing the children physically to listen. What implications do the discussions above have for preachers? Preachers should understand that the listeners are not always physically ready to listen. That’s just a fact. In order for preachers to help with connecting with the physical aspect of listening, his voice must not drone on and on in monotone. Most preachers could work on more variation of both the voice and pace. Equally important is to provide continuity between the singing time and other parts of the service with the sermon so that people will know that their physical participation is of utmost importance. Since listening to sermon is a physical act, the physical presence of the preacher is also very important. There are some preachers who rarely gesture. Such preachers could do much better in creating more body language. Visual appeal is physical. It will draw attention of the audience. Another pet peeve of mine has to do with the timeliness of sermons. 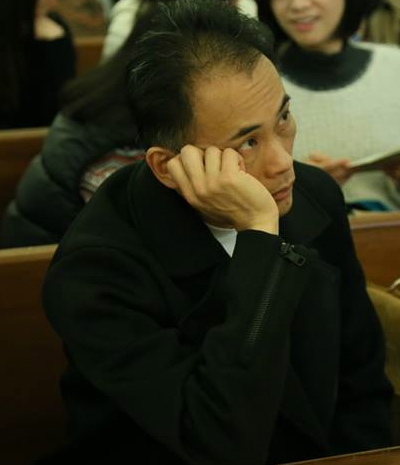 Many Chinese churches have a strange view of time as the preacher almost always goes overtime. People have limitations. They cannot listen to overtime sermon week after painful week, especially if the preacher is not an outstanding communicator. The listener does not only get bored but in some case gets quite hungry. The preacher needs to understand that not everyone is as spiritual as he is and that some people (especially those who have health problems) need to eat. When looking at the Reformed tradition, there are several means of grace: baptism, the Lord’s Supper, and preaching. The centrality of preaching is only highlighted by the central placement of the pulpit in a Reformed church. Especially important is the preaching aspect because it addresses both hearts and minds. The above discussion already demonstrates the importance of physical aspect of listening without which any intellectual and spiritual sense cannot happen. We must now address the art of listening beyond mere physical act. We must address the non-physical part. First, when listening to a sermon, the listener is informed by the content. No matter how much we want to make a sermon an inspirational piece of public discourse, the content in it informs so that any inspiration can result. Rom. 10.16-18 talks a little about how the gospel is transmitted. This is an important point to dwell on. Quite often, people in church, especially churches that encourage the consumer mentality, do not listen actively. They do not want anything “too deep” but the entire sermon must be funny. This is a plague among evangelicals at this point. To be informed about the truth means one has to intellectually engage the sermon. This means the brain is actively absorbing and processing what is being said. Second, Neh. 8.7-9, talks about understanding and Rev. 2-3 often repeats “He who has an ear …” Such sayings are not talking about physical listening, but about understanding. Understanding also requires the listener to track what is being said. The preacher speaks in order for the listener to understand. Once again, I’m talking about active listening. A “discerning” listening is much needed all the time. When listeners hear the sermon, they can either accept one hundred percent of what is said, or keep their bibles open so that they can track the context of scripture to see whether they understand the true message. This requires the listeners to bring their own Bibles or at least have a pew Bible available to him. Many have decided to use electronic edition of the Bible. This is not a great idea. I have tested my listeners who have electronic Bibles in their cell phones. They can track about an average of 7 verses at a time. 7 verses do not give enough context for good understanding. Third, the true spiritual listener must respond. Neh. 8.5-6, 18; 9.1, show the response of the people upon hearing God’s word. The spoken word demands some kind of change. Responses are important. Let me suggest that every listener jots down one point in a spiritual journal somewhere for the Sunday service. Jot down the point that sticks out and mark out an action plan or change of mind. People would progress so much if they jot down 52 points from the 52 weeks of preaching they listen to in a year. If in addition to the 52 lessons, the listener also writes down 52 action plans. I think the listener’s life would change. The above discussion implicates the preacher as well. I have read numerous studies in reputable universities about teaching and PowerPoint. It is currently in vogue to use PowerPoint for every teaching endeavor. This fad will soon fade as soon as the user realizes that it is not always as effective as its creators’ boasts. One study actually shows that lecture PowerPoint slides with too much information is 15% less in effectiveness of informing. The reason is that the screen of any kind is originally used for entertainment and not for reflection. As quick as the PowerPoint slide switches, people cannot reflect and listen all at once. Preachers may want to rethink the strategy of using PowerPoint. If it has to be used, less is better. Too much information would mean “no” information. I always challenge my audience to open the Bible to look at context, even though my church may shoot up the verses in PowerPoint format. This will encourage active and discerning listening. If we must use PowerPoint slide for bible passages, we must also inform our audience that the slides are for unbelievers who can’t flip fast enough in their Bibles. For believers, the printed text of the Bible should be the standard, not PowerPoint. Preachers must understand that we create our own listener culture. Our usage of media tool will be part of that creation. Preachers can help listeners in the understanding of the sermon by strong transition and clear points. The “pointless” sermon will not become anything helpful to the listener. The sermon must have a focal point and that point needs repetition. If a preacher makes clear one point of preaching, his audience will not mistaken the point for something else. The successful preacher can test out his congregation one or two weeks after and see if they get his point in the sermon. If they still remember the single point, then the preacher has communicated successfully. Conclusion: What Can Both Sides Do About It? When we look at the art of listening, it requires strong interaction between the preacher and listeners. Physical hearing cannot happen when both sides fail to plan. Spiritual hearing also demands the listener to prepare to act. The preacher still needs to understand the strengths and weaknesses in electronic devices. Churches can prepare pew Bibles for people to at least read what is opened up for that Sunday. When we evaluate both the preacher and listeners, we come away knowing that sacrifice has to happen for both sides. This blog is very simple. It is not profound but it should address something that I often experience, and I’m sure you do also. Have you ever said to someone on Facebook or in passing, “I’ll pray for you” only to find out at the end that you’ve forgotten or completely ignored that promise? I’ve done so often, and to my shame, I find my busyness of ministry and work overwhelm my prayer life. As cliche as it sounds, we can never pray enough. How do we at least solve this problem of failure to intercede for serious matters such as the changing situation in Egypt or a close friend’s family suffering from cancer? Let me make a very small suggestion that has worked for me when I was still teaching full-time with a four-course semester load at Hong Kong Baptist Theological Seminary. I used to tack a sheet on my office bulletin board or somewhere near my electronic devices that records roughly some of the most urgent prayer requests. It was not a fancy sheet. It was there to give me a quick surface to write down prayer requests. When I work on my book on the computer, I always look straight up at that board. I would then remember my friends and all the needs around the world with a little prayer. This happens throughout the day. If you check your Facebook on the subway, try to record the stuff right on your electronic device. Every time before you open up to check updates, check the list first. I think this style of intercession keeps important request within sight to help us remember our friends’ needs. I think there is hardly anything more satisfying for Christians when someone ask them about their needs later after they express the need for prayer. “I’ll pray for you” can go so much further when we keep those request at the forefront even when we’re busy. With our new lifestyle and electronic age, perhaps we can do prayer differently without sacrificing the quality of prayer. There are many ways to prayer. The above is just one way. Some of you may want to add to this list by commenting, but I’ve found this way to be helpful in my own spiritual growth. Thanks for reading. This week, our favorite evangelical whipping boy Prof. Peter Enns wrote a blog about what the Bible doesn’t teach. In his preview to his series of blog posts, he’ll engage some famous scholars on when they realize that the evangelical church has been teaching something that is not quite biblical. His blog also quotes from my friend Prof. Greg Carey’s HuffPo article on where liberal scholars come from. In Greg’s own article, he talks about key events in his life where he had moments of illumination when he realized that the church party line is not always correct. Enns’ blog especially deals with the inerrancy issue. Although I’m nowhere near the fame of these two men, I can share when I too realized that the church party line on biblical inerrancy had fallen off the track. That moment came for me when I was still in seminary. I recall reading about the editing process of the Hebrew Bible and then it dawns on me that the Hebrew language was not as old as Moses and that its uniform style indicates a synchronic editing period among the scribal elite. That moment didn’t really bother me as much as the reaction of many of my classmates as I discussed this issue with them. Here’re some of the responses I got. Why are you so concerned about such minutia of faith that was not “written in the Bible”? Why can’t you just take what Jesus said literally and be done with it? Why are you always asking critical questions? At that stage, a more severe question came to my mind. Why are evangelicals so afraid of the truth? The problem, as I saw it, has to do with the (false) dichotomy between having an evangelical heart and a critical mind. I recall classmates and even some professors distinguishing between “evangelical” and “critical” scholars (because they just don’t want to call the critical people “liberals”). Such a dichotomy shows that many evangelicals simply think that having a critical mind is bad and that being evangelical means leaving behind your critical faculty in favor of “faith”(whatever that faith actually means). To me, faith is often the synonym for being real stupid. In my many conversations, people would often ask me whether I’m an inerrantist. I usually have to ask them to define the term. Most stumble over themselves trying to come up with the short Sunday school answer. At the end, many of them simply shrug and say, “You just believe that the Bible is full of errors.” At that stage, a more severe question came to my mind. Why do evangelicals attribute motives and convictions on people who believe in neither? Having said the above, I’m not saying that the “Bible” (whatever that term actually means) is full of errors, but as N. T. Wright recent stated that evangelicals often give the right answer for all the wrong questions. The models we have been using simply do not work for both the content and formation of the Bible. The problem is really the questions we ask. We are afraid of asking the right questions because we’re afraid we don’t have the short Sunday school answer for our simple faith (I mean, stupidity). The longer I’m working at this, the more uncertain I am about simple faith (or you may say, the more “liberal” I am). What’s so bad about uncertainty? Well, uncertainty calls for faith. That’s what. For some, that kind of faith IS bad. For me, my journey does not take away my trust in biblical authority, but it does help me to reevaluate what authority means. PS. For what else the Bible does not teach, please feel free to read my book Right Texts Wrong Meanings.